I’m painting myself green for this. 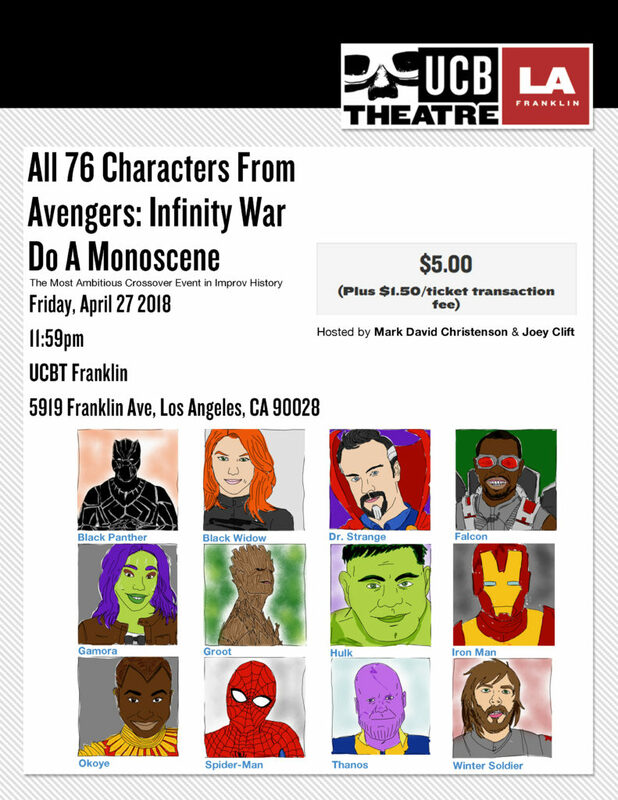 I am doing an improv show where I am one of the 76 characters in Avengers: Infinity War. For real, there will be 76 people onstage. Now I have to figure out how to paint myself green to play Gamora without getting it all over my car. Maybe I shouldn’t do it my my car. Anyway, come!